These trousers are perfect for any occasion girl. 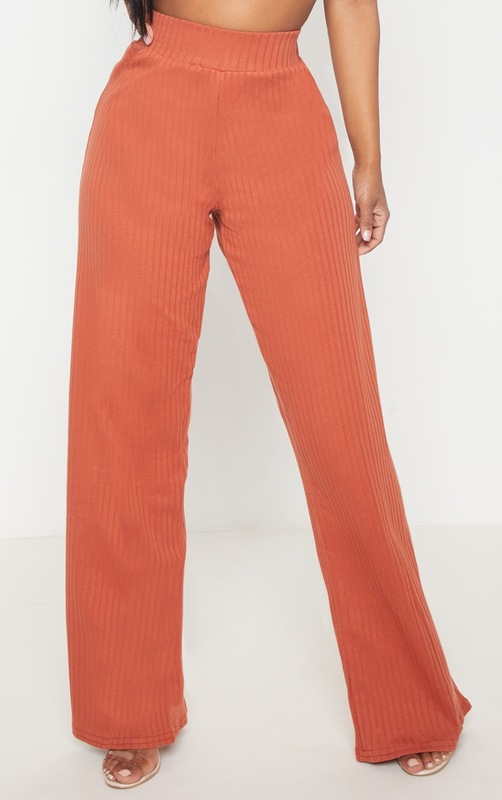 Featuring a rust ribbed material with an elasticated waistband and a wide-leg fit. 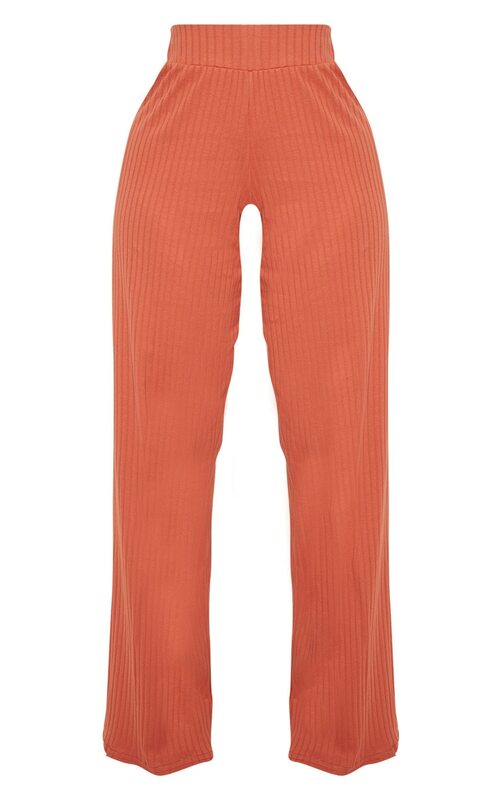 Style these trousers with a crop top and strappy heels, complete the look with a pendant necklace.